And who said Valentine’s Day was just for girls? I always get my boyfriend a little something so he doesn’t feel left out! He annoyingly has his birthday a week later & so I have to think of 2 presents in a short space of time! So what do you get the man in your life? Socks, a computer game or some new gadget? Well, they do say the way to a mans heart is through his stomach & that is why we think a Valentine’s gift basket is such a good idea. You can pick from our many creations of chocolates gifts or cheese, fruit & snack gift baskets. You can even create your very own gift basket, if you want to put some extra thought into it! As well as food items we offer some fun & pamper items for him and her. don’t forget to include that soppy gift card message & we will make sure it accompanies your chosen gift basket. 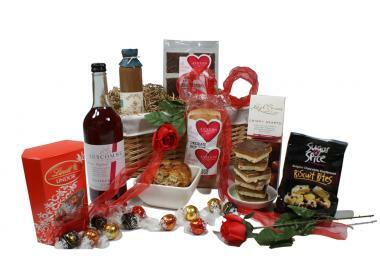 So get ordering now & you are sure to be in your partners good books come Valentine's Day!